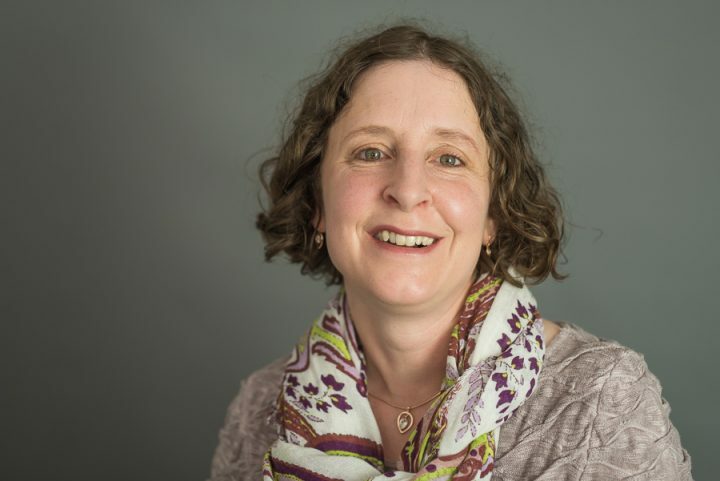 It’s time for another author interview and today I’m meeting the lovely Liz Taylorson, writer of romcoms for Manatee Books. 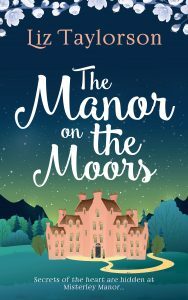 Her new novel The Manor on the Moors was published yesterday! “The Manor on the Moors” is my second novel, and like my first is set in an imaginary landscape on the edge of the Yorkshire Moors. Misterley Manor is a house where everyone is hiding something. The initial spark (pardon the pun!) of inspiration for the book was my long time fear of fire. At the heart of the story a potentially disastrous fire breaks out; I’ve been haunted by the thought of fire for a very long time. Working as a librarian in a historically significant library several years ago I learned about disaster management – and much of that training is reflected in what happens during the fire in this book. Thankfully, none of it is based on any real experience! (And any mistakes are based on the fact that thankfully I never had to put any of that training into use in a real emergency situation). Simple. A picture of Tom the assistant gardener. I wouldn’t need anything else to pitch this novel! Keep writing, keep learning, keep trying. A bit of both. I’m still finding my way. My first (unpublished) novel was totally pantsed (is that a word?) and had a disastrously unstructured plot. The Little Church by the Sea had a plan, but strayed considerably and needed rewriting several times. The Manor on the Moors was planned meticulously, and I spent waytoo long planning and re-planning when I could have been writing. So, the two that I’m working on right now have a loose structural plan but I let the story flow around the handful of planned events. This seems to work best for me – but it’s all a learning process. When someone I don’t know tells me they like my book. Or, to be fair, someone I do know is just as good! Some are easy. Caroline sprang into my mind and could never have been anything but Caroline. However her daughter Emily started off as Evie, but for some reason I could never remember what she was called. That told me it was the wrong choice of name for her and she changed to Emily, which I never had any problems with. For surnames I often use a phone book, open a page at random and pick one. It’s the only time I do use the phone book these days! I also love random name generators, and that’s where the surname Lattimore came from. I could people whole novels with the rejected names – Cordelia Killigrew, anyone? Put it away, sleep on it and hope that something better happens tomorrow. If it doesn’t I skip that chapter and come back to it later. It’s getting faster. The Little Church by the Sea took well over a year to get right. The Manor on the Moors took about a year because I kept rewriting it. The one I’ve just finished (title TBC) took months, but not quite so many months as The Manor on the Moors. I’m too self-indulgent with description. I love coming up with settings for my stories, and once I’ve created a detailed place in my imagination I want to tell everyone all about it. At great length. Several times. First draft is the easiest and most enjoyable bit, when anything is possible. Publicising it is the worst, makes me feel like an utter fraud. For the Manor on the Moors Alice is quite young so it would probably have to be a relative unknown, fresh from drama school. She’s very tall though, so in my imagination she’s a twenty-four year old Gwendoline Christie. Caroline is easier, Samantha Bond would play her very well. I think I may have watched too much Game of Thrones recently, because I would have to cast Richard Madden as Tom. Realising that writing is a craft that can be learnt as much as a gift that you either have or have not. For too many years I convinced myself that no matter how much I wanted to write, I didn’t have “the gift” because I couldn’t get it instinctively right first time. I plan in a notebook with a fountain pen, but work on the computer, as I touch type it’s so much faster. My fingers can keep up with my thoughts so much better than my pen. So many to choose from! I think in my genre, I’d have to say Sue Watson. Her choice of settings are so amazing and she brings the places she chooses to life as much as she does with her characters. And I love her plot twists! My all time favourite book ever – if I’m trying to sound scholarly I’d say Wuthering Heights because it fascinates me, but if it’s the book to which I return in my mind most often – I’d probably say Anne of Green Gables. A book with an unashamedly clever and imaginative heroine with her fair share of flaws and a beautiful setting. I’d love to say something wise and aspirational – yoga by a lake, meditating in my specially designed calming blue room with whale song accompaniment … but actually it’s chocolate and television. Tea. Preferably Earl Grey. No sugar. Wine. White, but not prosecco. Can I really claim to be a romantic novelist? Home-made chips. Preferably home-made by someone other than me! Kittens. As long as they don’t chew through the charging cable of my i-pad, not just once but several times. You know who you are, Jenny Kitten. Summer. Much as I love crisp snowy winter days, there just aren’t enough of them to justify choosing the winter. Give me a beautiful warm summer’s day, a distant view of the sea and my camper van. As a child, she was always to be found with her head in one and she still has a bookcase full of her childhood favourites to this day. (She once read The Lord of the Ringsthirteen times in a row, cover to cover!) All this reading led to a degree in English Literature, (and another book-case full of books) and then a job as a cataloguer of early printed books for a major university library. This meant spending hours sitting in a beautiful, ancient building looking at antique leather-bound tomes – although as so many of them turned out to be rather boring volumes of sermons, so she wasn’t often tempted to read them! She went on to train others how to catalogue books, and her earliest attempts at writing anything as an adult consisted of instructions on howto work out the correct form of the author’s name to use in a library catalogue. Children (and then cats and chickens) interrupted her bibliographic career, and having given up library work Liz started writingfiction and hasn’t stopped since, joining the Romantic Novelists’ Association New Writers’ Scheme to try to learn how to write novels properly in 2015. This led to publication of her first novel, The Little Church by the Sea in late 2017, to be followed by The Manor on the Moors in early 2019, both by Manatee Books. When not reading or writing Liz is often to be found on stage (or behind it) with her local amateur dramatic society, drinking tea or visiting one of the several North Yorkshire seaside villages which were the inspiration for the fictional Rawscar, the setting for her novels.